The company has offered to send two other executives. 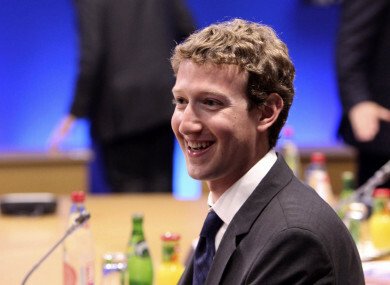 Zuckerberg is the founder and CEO of the world's largest social networking website. BRITISH MPS HAVE renewed a demand to interview Facebook chief Mark Zuckerberg personally over a data privacy row, after he responded to an earlier request by offering to send one of his deputies. Damian Collins, the chairman of the House of Commons digital, culture and media committee, said that the seriousness of the allegations meant it was “appropriate” for Zuckerberg to offer an explanation himself, whether in person or via videolink. In a letter published by the committee today, a senior British Facebook executive offered to send chief technology office Mike Schroepfer or chief product officer Chris Cox to London next month. “We’d be very happy to invite Mr Cox to give evidence,” Collins said at the start of a committee hearing on Tuesday. “However we would still like to hear from Mr Zuckerberg as well. We will seek to clarify with Facebook whether he is available to give evidence or not, because that wasn’t clear from our correspondence, and if he is available to give evidence then we would be happy to do that either in person or via video link if that would be more convenient for him. “Facebook fully recognises the level of public and parliamentary interest in these issues and support your belief that these issues must be addressed at the most senior levels of the company by those in an authoritative position to answer your questions. As such Mr Zuckerberg has personally asked one of his deputies to make themselves available to give evidence in person to the committee. “Both Chris Cox and Mike Schroepfer report directly to Mr Zuckerberg and are among the longest-serving senior representatives in Facebook’s 15-year history. Both of them have extensive expertise in these issues and are well placed to answer the committee’s questions on these complex subjects,” Stimson wrote in the letter. She said either Schroepfer or Cox could attend “straight after the Easter parliamentary recess”, meaning April 16 at the earliest. The committee’s request to Facebook followed allegations that data from up to 50 million users was harvested by a British company, Cambridge Analytica, for use in election campaigns, namely that of US President Donald Trump in 2016. The social media giant said it did not know the data was being used in a political campaign, although it did allow an academic researcher to create an app that picked up the information from users and their friends. In the letter, Stimson revealed that Facebook was working with regulators around the world to assess how many people in each country were affected. “We can now confirm that around one percent of the global downloads of the app came from users in the EU, including the UK,” she wrote. Email “Zuckerberg says no: Facebook CEO turns down request to appear before British MPs”. Feedback on “Zuckerberg says no: Facebook CEO turns down request to appear before British MPs”.